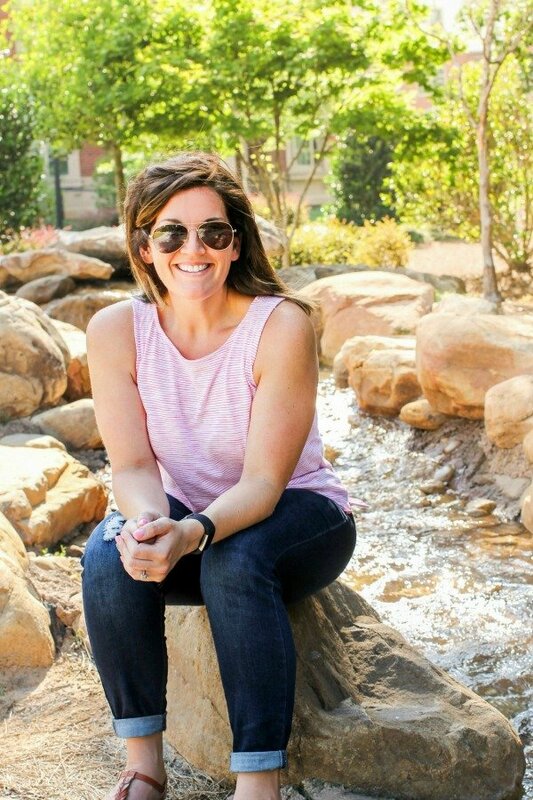 December 22, 2016 By Allyson 2 Comments This post may contain affiliate links. Read my disclosure policy. 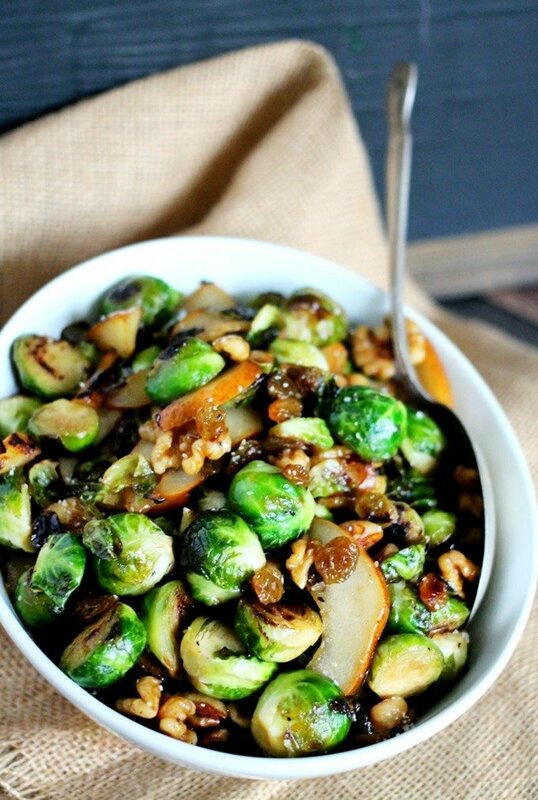 Sauteed Brussels Sprouts with Pears, Golden Raisins & a Sweet Glaze are the perfect anytime side dish that everyone will love! It’s no secret that I am a huge lover of Brussels sprouts. Any which was you cook them, they are all tasty to me (well, except don’t boil them!). 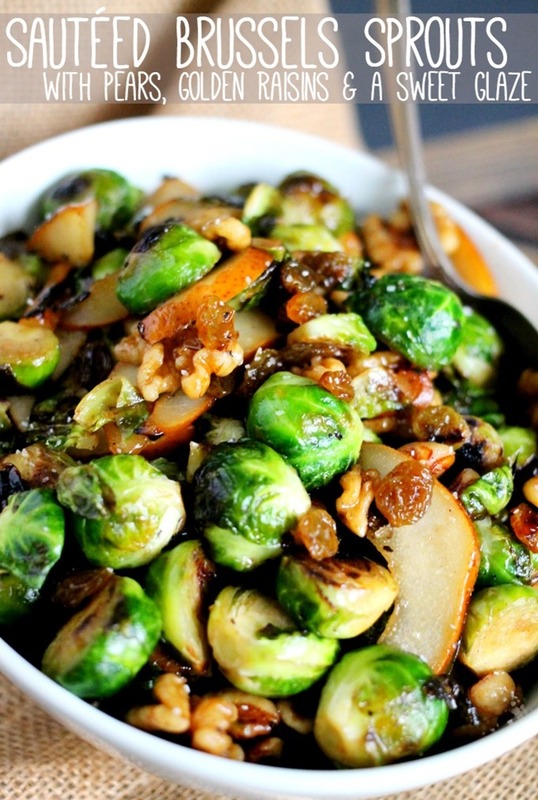 I love love using Brussels sprouts in new recipes, and I put a twist on this recipe to turn it into a delicious side dish. Lets be honest though, I would eat this as a main dish and enjoy it just as much as a big bowl of mac & cheese! 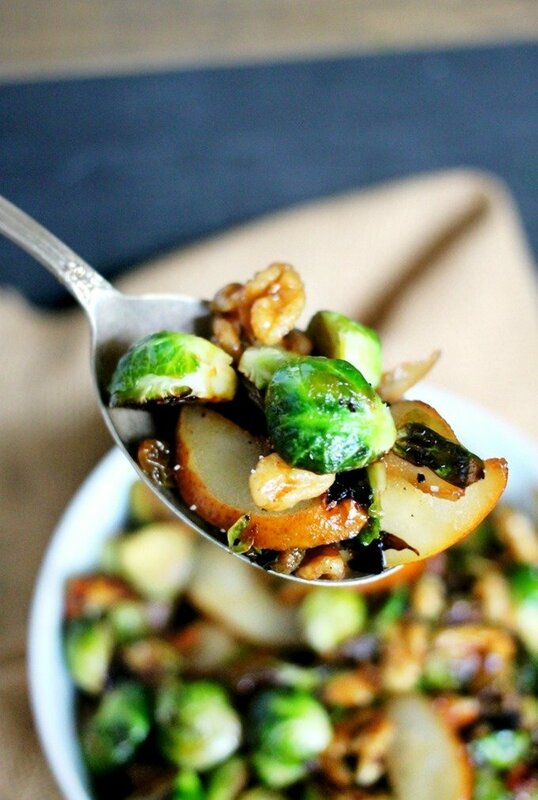 These Sauteed Brussels Sprouts with Pears, Raisins, and a sweet glaze are amazingly delicious and total perfection. I always tell people, if you don’t like Brussels sprouts, it’s because you haven’t had them cooked well. This is definitely a great recipe to change your mind. The sweet glaze that dresses the dish is full of honey, lemon, walnuts, pepper, and Morton Coarse Kosher Salt. 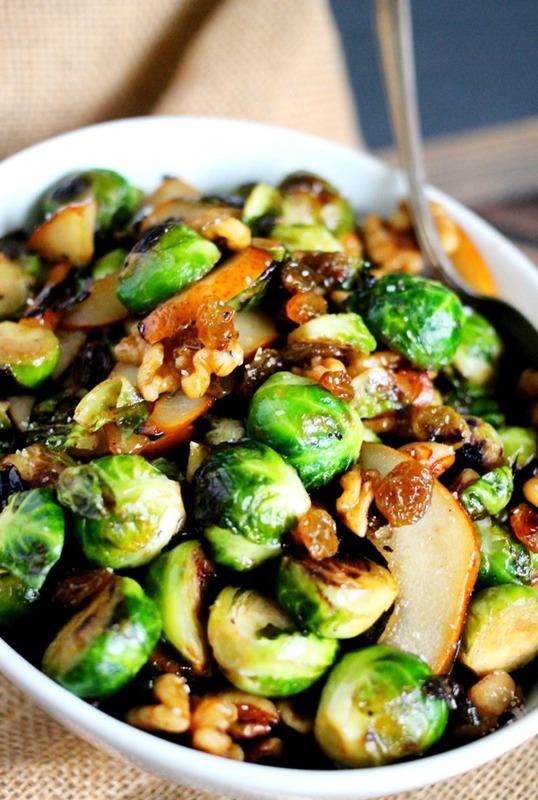 Adding it at the end of the recipe, then blasting it with a shot of heat allows the sauce to come together quickly and glaze over the Sauteed Brussels Sprouts, raisins, and pears perfectly. The Morton Coarse Kosher Salt adds just a little crunch as well as the perfect saltiness to the amazing recipe. It’s the perfect finishing touch to this hearty side dish. The Sauteed Brussels Sprouts dish itself comes together pretty quickly, about 20 minutes including prep time. Get all your ingredients together ahead of time so that it’s quick to make! I always use Morton Coarse Kosher Salt in my recipes, because they always have every type I need and it’s delicious! Using Morton coarse kosher salt on this dish really elevated the flavor of the Brussels Sprouts, and it balances out the honey and lemon glaze. This is the perfect dish to serve on a special occasion like Christmas dinner, but it’s also great for every day cooking. It’s really very simple, yet everyone will think you slaved for hours cooking this delicious side dish. 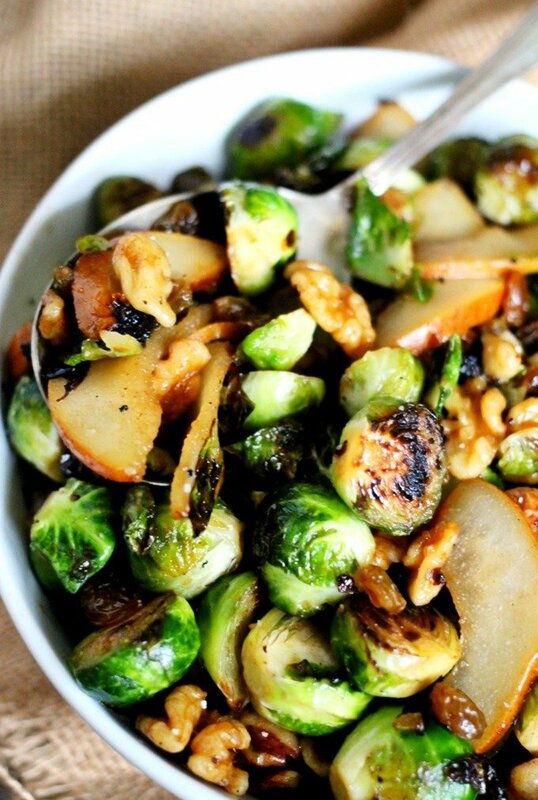 Brussels sprouts are incredibly good for you, and it makes for a very wholesome recipe. 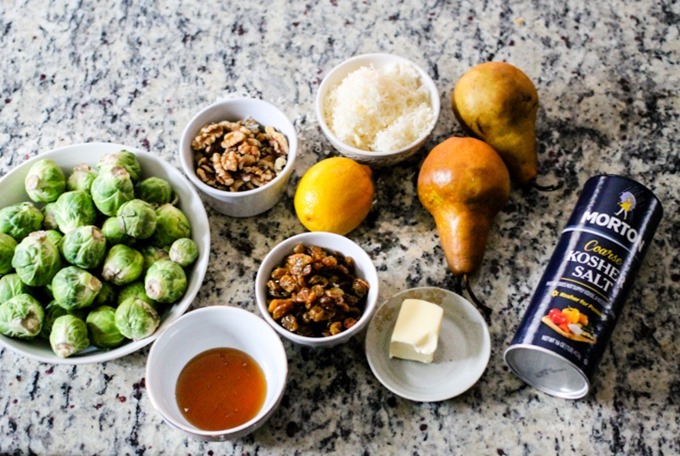 Load up your plate with these Sautéed Brussels Sprouts with Pears, Golden Raisins & a Sweet Glaze and don’t forget the Morton’s Salt! Melt butter in a large skillet over medium high heat. 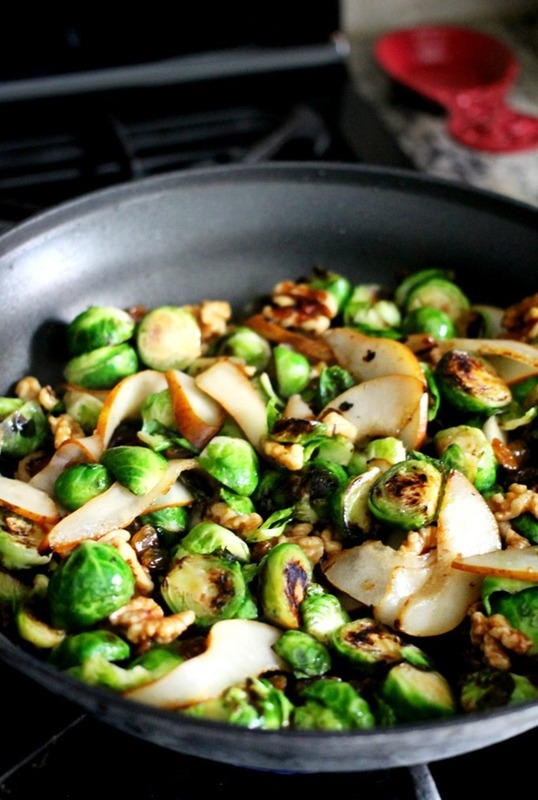 Add Brussels sprouts and pear slices, sauteé for 6-7 minutes or until they are tender. Add raisins, walnuts, lemon juice, and honey; turn heat to high; stir to combine/coat. Season with salt and pepper, stir to combine and cook for about 30 more seconds. Remove from heat and serve. Although you may think that all salt is the same, I’ve been fortunate enough to learn more about the different kinds of salt and how each one can change an ordinary dish into a restaurant style experience. I’ve learned about using Morton Kosher and Sea Salt versus standard table salt in my cooking.